SNC-Lavalin is refusing to identify which of its company executives signed off on $56 million in 'improper payments' under the direction of a former executive of the company's construction division who was arrested in Switzerland last month. Authorities in Switzerland are holding Riadh Ben Aissa on accusations of fraud, corruption and money laundering tied to his dealings in North Africa where he won billions in contracts for engineering giant SNC-Lavalin in Libya from the Gadhafi regime. Ben Aissa, the former executive vice-president of SNC's construction division, has not had a chance to respond to the allegations. His Canadian lawyer won't discuss the case. In March, SNC-Lavalin called the RCMP and handed over the results of an internal review that revealed tens of millions of dollars in improper payments. The company stated that as head of their global construction division, Ben Aissa ordered one payout worth $33.5 million, co-signing it with a senior officer of SNC-Lavalin International, a different arm of the company. However, a second payment of $22.5 million was not signed by Ben Aissa, but rather a lone senior executive with SNC-Lavalin International. An SNC-Lavalin spokesperson told CBC News that the payments were under the direction of Ben Aissa, but refused to identify the other company officials involved. Veritas Investment Research, based in Toronto, has been highly critical of SNC-Lavalin and in late April the company published a research report titled Skeletons In the Closet. It determined that, based on SNC's own public statements, "as many as eight senior executives appear to have been involved in, or had some knowledge of, certain of the improper acts." "Along with former members of management, we believe there is significant evidence that the CFO committed violations of SNC's internal controls," the April 26 report from Veritas states. SNC is disputing the Veritas report but won't reveal who else knew about the mysterious financial activity. 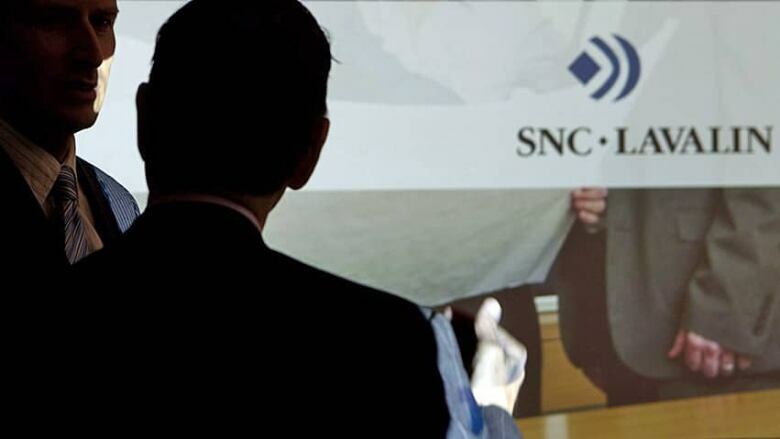 "The payments themselves were conducted and paid within the division and by the people that have been released," SNC-Lavalin chair Gwyn Morgan told reporters Thursday at the company’s annual general meeting in Toronto. "The problem is where it went," Morgan said, conceding he remains concerned what else police might find about where the money wound up. "When it comes to … chief financial officer [Gilles Laramee], we know that he was not involved in the payments, at all, for certain," Morgan said. "We have absolute confidence in him." Morgan told investors that tighter controls are now in place but would not discuss specifics, citing the fact the company has handed to the RCMP all of its findings around the $56 million in mysterious payments. Ben Aissa and his vice-president, Stephane Roy, were forced to resign in February. CEO Pierre Duhaime was forced to step down in March when the company announced he had secretly given Ben Aissa a green light to pay out the $56 million, despite objections from Laramie.